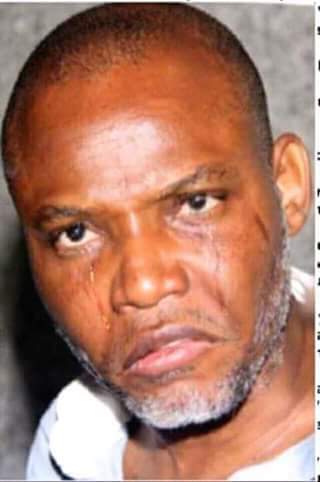 “Nnamdi Kanu was homeless when I met him in London. I gave him the first money to rent an apartment after he was thrown out by the Ghanaian woman he was living with. When I met him in London he had no job and no certificate, he was into internet fraud (yahoo-yahoo business). So he should shut up and face his trial like a freedom fighter, and if need be die for the course. He is not the first Igbo man to be tried for treason, I also stood before the same judge handling his case for the same charge of treason." “I was the one who discovered Nnamdi Kanu in 2009, 10 years after I had started MASSOB when I travelled to London. I gave the money to establish Radio Biafra, rented a house for him and bought him a car because he was jobless and into Yahoo-Yahoo. He was not in school and had no degree. “When I appointed him as the Director of Radio Biafra, Benjamin and others refused to work under him because they said he was a fraudster. So, he is nobody and I can’t travel to Abuja to give evidence against him and worst of all to wear a mask to do that.